If you want to get more traffic for your trade show booth, then you need to bring in a photo booth and make your location the place to be. There are plenty of ways you can turn a photo booth into the hit of the trade show and bring in plenty of new business for your company as well. A fun idea for your trade show is to set up a photo booth so visitors can pose with your new product. With Face Place photo booths, you can use the editing software to put a fun border around each picture and make it look like your visitors were posing with a celebrity. You can also use the magazine cover software to put the pictures of your visitors and new product on fake magazine covers. If you have a celebrity or special guest at your booth, then people will want to take pictures with that guest. The problem is that selfies are often off-center, out of focus, and low quality. A photo booth is the best way for your visitors to get pictures with your special guest that your visitors will remember. You can make sure that each picture has your company logo on it, and you can also offer your guests the chance to post their pictures on social media. Visitors at a trade show are often ready to have a little fun, even when they are there on business. A photo booth is a great opportunity for your visitors and your booth staff to have a little fun and take some pictures that can be printed out or posted on social media. It is a way of initiating positive contact with your visitors that results in pictures everyone can enjoy. 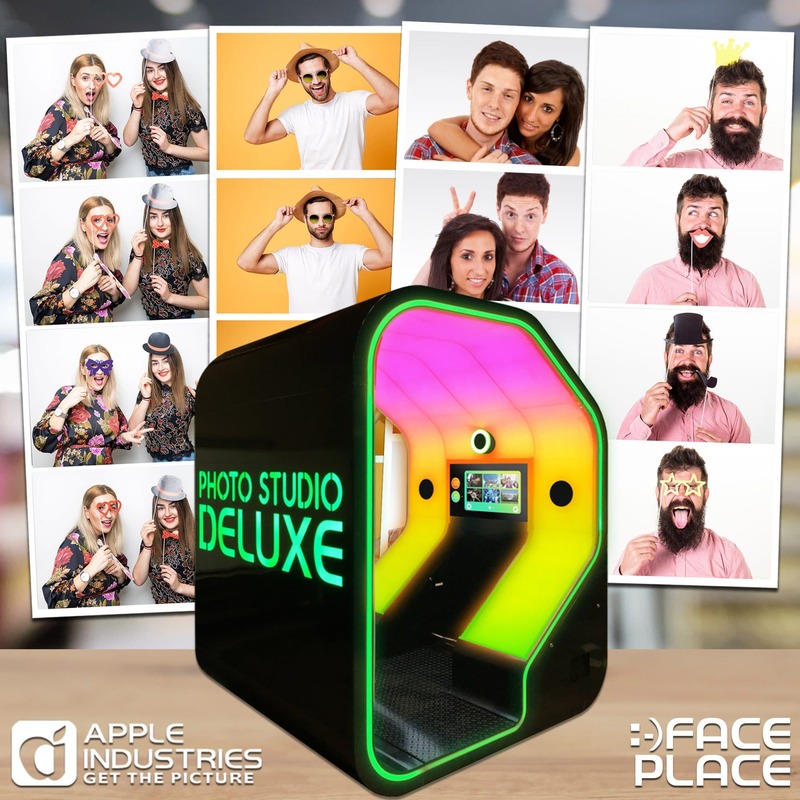 Face Place photo booths allow you to make videos and post them to social media. Your staff can make regular update videos on your photo booth and then post them to social media to encourage people to visit your booth. You can use the video editing tools to add a little fun to your videos and entice more visitors to come check out what your company has to offer. When you rent space at a trade show, you wan to do everything you can to bring as much foot traffic as possible. No matter what types of entertainment or attractions you are planning to use, adding a photo booth to your trade show presentation is going to increase traffic dramatically. With a photo booth, you can allow visitors to take quality pictures of your product and even your trade show celebrity guests. A photo booth is a great way to arouse interest among the trade show attendees and help your company to capture more sales leads. Why is a photo booth a better option in this tech dominated era? Introducing the NEW Face Place Photo Studio Prism! *Arrangements must be made for outdoor accommodation. Come back soon for our next financing special! © 2017 Apple Industries, Inc. Face Place is a registered trademark of Apple Industries, Inc. All rights reserved.